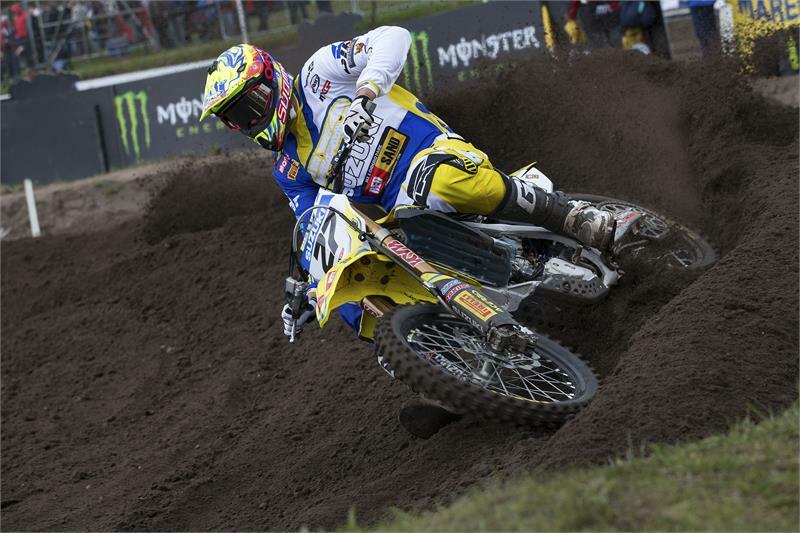 Arminas Jasikonis put in a great qualification race at the MXGP of Europe to finish in eighth place, battling and passing a lot more experienced riders in the deep sand track at Valkenswaard in the Netherlands. In overcast conditions, Kevin Strijbos, Hunter Lawrence, Jeremy Seewer and Zach Pichon also battled hard for every position at a track that had been altered slightly for this year’s MXGP. For Jasikonis though, this was another positive step in a season that is steadily improving race by race: “The start was better this time and I was running and passing so many good guys. I was feeling good physically, my bike setup with the RM-Z450WS was really good as we improved that during the week and everything was going good as I came up to fourth place. Then I lost concentration and made a little mistake and I dropped back to 10th but made a couple of passes at the end to end up eighth. It’s good though, to finish there with a crash and it’s much better to crash today than tomorrow.